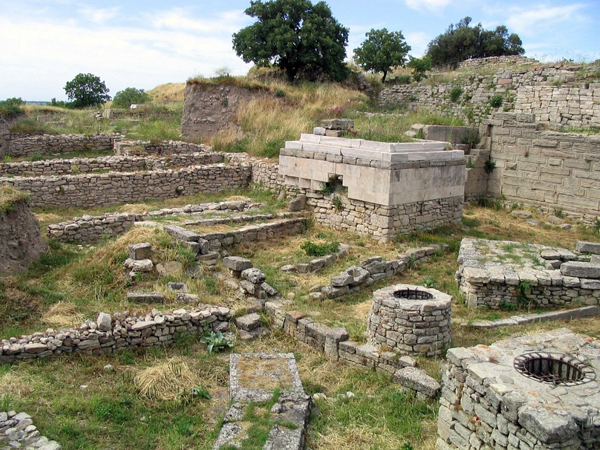 The archaeological site of Troy is located in western Turkey near the convergence of the Aegean Sea and the Dardanelles (ancient Hellespont), the strait that connects the Aegean to the Bosphorus and the Black Sea, a strategic location valuable to whomever controls it. Excavations have revealed 9 main layers of settlement going back 5 thousand years. The Troy immortalized by Homer in the Iliad, which tells the story of the final months of a 10 year siege of Troy by a coalition of Greek states, has been placed in layer VIIa, dated to around 1250 BCE. Scholars generally agree that the Iliad is a fictionalized, mythologized account of an actual conflict, but that the war was most likely over control of the Hellespont and trade access to the Black Sea, rather than the abduction of Helen, the queen of Sparta, as Homer tells it. 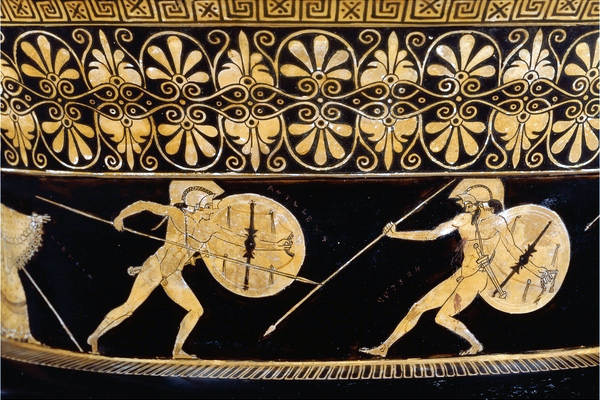 Factual or not, the Iliad is full of very human characters and dramatic force that are embedded in the foundation of Western culture and still compelling 3000 years later. 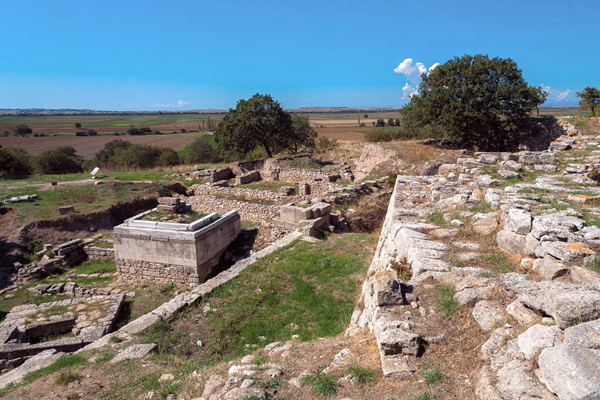 Troy is one of the most visited archaeological sites in the world, not because of a 3000 year old dispute over territory, but because of the mythical proportions of the characters and events placed there by Homer. So, that’s what we’re looking at in this post and the previous post, the story of Troy, the people (both mortal and immortal) and relationships that continue to give it life even now, when it physically bears little resemblance to its actual or imaginary self. When we left off in the last post, the assembled Greek warriors had just set sail for Troy, having purchased good winds with the life of Agamemnon’s daughter Iphigenia. They’re headed to get Helen, wife of Menelaus, king of Sparta, back from Paris, prince of Troy, who took her. Paris was exceptionally good-looking but not particularly courageous. What made him think he could get away with stealing the wife of a king? Aphrodite, goddess of love, that’s what, or who. I don’t mean in a metaphorical “love will find a way” sense but in a literal sense, at least as literal as it gets in the realm of myth and legend. Here’s the story: Eris, the goddess of discord, was bitter because she was not invited to the wedding party of the hero Peleus and the sea-nymph Thetis. Eris was a troublemaker by nature. She took her revenge by tossing a golden apple into the party inscribed with the words “for the fairest.” The apple was instantly claimed by three goddesses – Hera, Athena and Aphrodite, all very beautiful and vain. None was willing to defer to another, so they took the case to Zeus. Zeus was far too smart to get involved, especially considering one of the goddesses was his wife Hera, so he appointed the unsuspecting mortal Paris as judge. The three goddesses appeared before Paris in a field, where he was tending sheep, and lobbied hard for his vote. Hera promised to make him the king of Europe and Asia. Athena offered to make him a great warrior. Aphrodite vowed to give him the love of the world’s most beautiful woman, Helen of Sparta. You know how that contest ended. Aphrodite was declared the fairest and the fate of Troy was sealed then and there. Not only was Paris about to bring the enmity of Greece down on his city, but the wrath of two goddesses as well. Troy was doomed. But it wouldn’t be a quick and merciful end. The siege of Troy lasted 10 years. Paris fought for his city but his brother Hector was by far the nobler warrior and man. Considering all the trouble Paris had caused, you can’t blame Hector for being hard on him, which he was, in a brotherly way. Mostly, Hector was busy trying to save the city and his family. Most of Troy called for the return of Helen to Menalaus. Unfortunately, the big softy King Priam supported his son’s desire to keep Helen and treated her as a daughter. Meanwhile, in the Greek camp Agamemnon and the great warrior Achilles squabbled over Briseis, the queen of a Trojan ally captured in battle, and endanged their cause in the process. 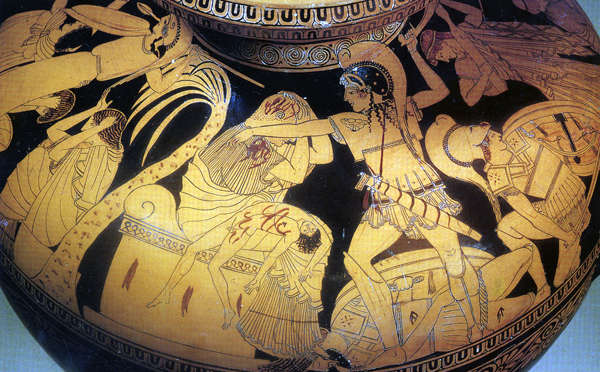 Briseis belonged to Achilles and Agamemnon took her, so Achilles refused to fight. He was the Greek’s best warrior and in his absence they lost a lot of ground. After his friend Patroclus was killed by Hector, Achilles returned to the battlefield in a fit of grief, mowing down Trojan soldiers until the river ran red with blood. Eventually he met Hector and killed him. That’s pretty much the end of the Iliad but from other sources we learn about the wooden horse and the sack of Troy. 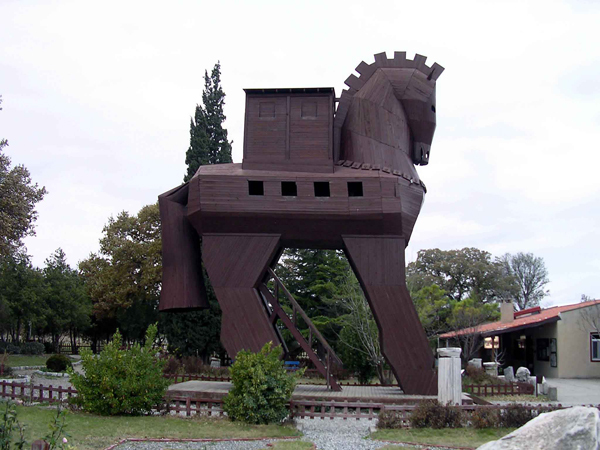 Odysseus, the wily King of Ithaca, devised the plan to hide their best fighters inside a giant wooden horse, leave it at the gates of Troy and sail away. The Trojans fell for this and brought the horse inside. After dark, the hidden Greeks came out of the horse and opened the gates to the entire Greek army, which hadn’t sailed away very far. That was the end of Troy. Paris and Hector had been killed on the battle field, along with many other Trojans and allies of Troy, and most of those who survived the siege died in the sack of the city, including King Priam. Agamemnon survived the war and returned to Mycenae only to be killed by his wife Clytemnestra, who hated him for sacrificing their daughter Iphigenia. More about that in my previous post. (That family’s tragedy goes on and on.) Menelaus and Helen returned to Sparta. To visit Troy, spend the night in Canakkale, about a 30 minute drive away. Many people find the site disappointing. It does take some imagination, and a good guide, to connect with the history of the place but I wouldn’t miss it, especially if you’re a nerd for the Classics. Click to see tours that include Troy on our web site. I want to tell the story of Troy, the legendary Troy of Helen and the Trojan War, but first I’ll tell about Mycenae, because it’s important to the back story. 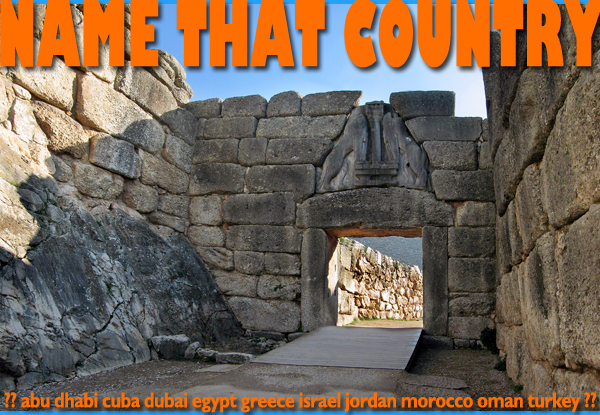 Mycenae is located in the eastern Peloponnese, about 80 miles from Athens. 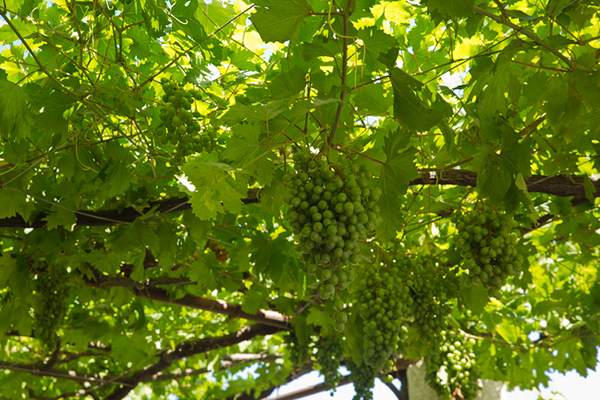 Some 3500 years ago, it was a powerful presence in the eastern Mediterranean. According to legend, Mycenae was ruled at its peak by Agamemnon, a son of the cursed Atreidae dynasty. He was a deeply flawed character, whose bad decisions perpetuated the kind of bloody family saga the ancient Greeks did so well. Agamemnon’s ancestor, Tantalus, offended the gods by serving them his own children for dinner and by stealing their famous nectar, ambrosia. Eternal torture for Tantalus was not sufficient punishment for his crimes; his descendants were doomed to lives of violence, betrayal and crushing tragedy. Agamemnon’s brother was Menelaus. The brothers were married to two sisters, Agamemnon to Clytemnestra and Menelaus to Helen. Yes, that Helen. Before she was Helen of Troy, she was Helen of Sparta, widely considered the world’s most beautiful woman. Helen’s father was the king of Sparta, and when the time came to find her a husband, the royal halls were jammed with suitors. After considering his options, the king decided the least messy way to settle the matter was to draw straws. However, knowing that a few sore losers were inevitable, he first had all suitors vow to support the winner of Helen’s hand if her honor were ever challenged. With that out of the way, straws were drawn. Menelaus won the hand of Helen in marriage and also succeeded his father-in-law as the king of Sparta. Sometime later, Paris, prince of Troy, visited Sparta, accepted the hospitality of Menelaus, and then ran off with his wife. The real beginning of this story, involving the revenge of a spurned goddess, explains Paris’ audacity, but more about that in my next post. For now, it’s enough to know that Paris either abducted or seduced Helen away to Troy. Agamemnon, the more powerful and aggressive of the Atreus brothers, invoked the oath made by Helen’s suitors, the warrior kings and princes of Greek states, to stand with Menelaus to defend Helen’s honor, and his own. A great war fleet was assembled and set sail, only to get lost and scattered on the way to Troy. Eight years later they reconvened off the coast of Greece and tried to set out again, but the goddess Artemis, who had been offended by Agamemnon, had the ships trapped in the harbor by the wind. With more than 1,000 ships sitting idle, Agamemnon consulted a prophet, who advised him to sacrifice his daughter Iphigenia to appease Artemis, and so he did. Remember I mentioned Agamemnon’s bad decision-making? Well, in the short run, he got what he was after, sailing conditions favorable to advance his war. In the long run, many chapters and more than a decade down the line, he will pay. Check back next time for the exciting conclusion! 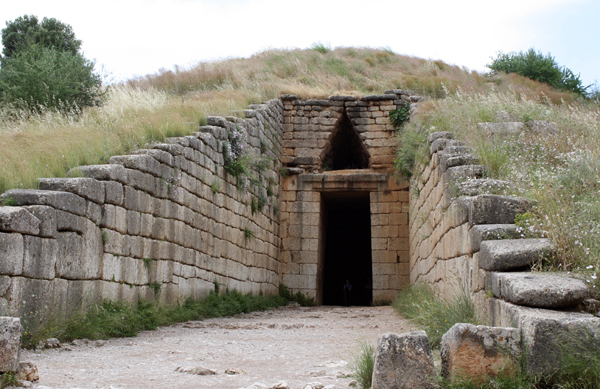 Today at Mycenae, you can see some impressive royal tombs, cyclopean walls (so called because the stones are so large they must have been placed by the one-eyed giant Cyclopes), the grand Lion Gate, and footprints of a palace and associated buildings. 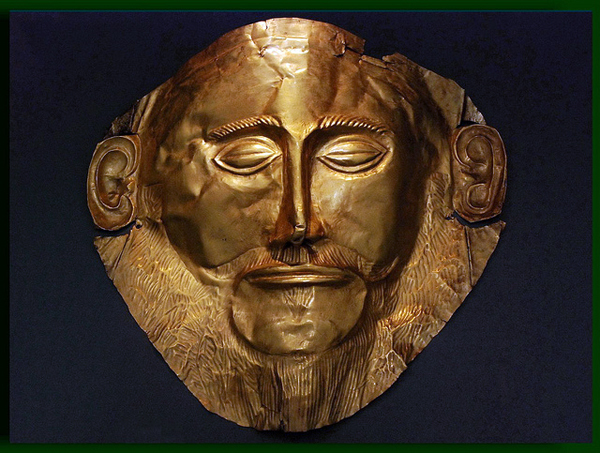 Some of the tombs yielded a trove of golden treasure, including the famous and misnamed Mask of Agamemnon, which dates to an earlier period than the Agamemnon we have come to know. The artifacts are not at Mycenae but at the Archaeological Museum in Athens. 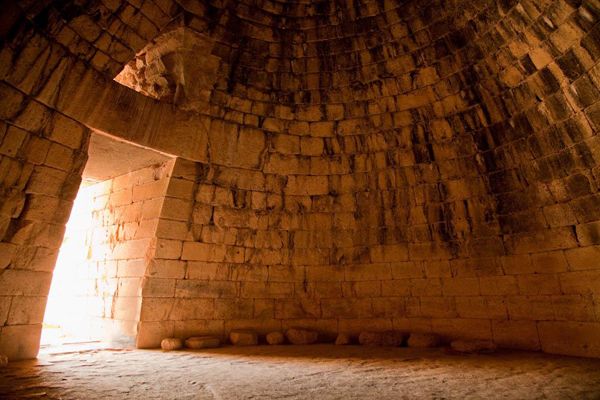 Mycenae makes an easy day trip from Athens or an essential stop on a longer exploration of the Peloponnese. 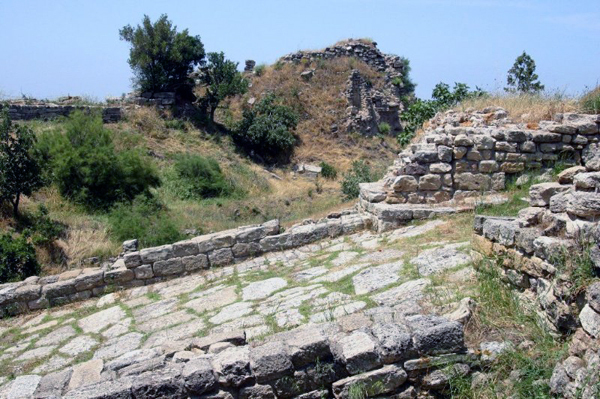 Click to see our Greece tours that include Mycenae. 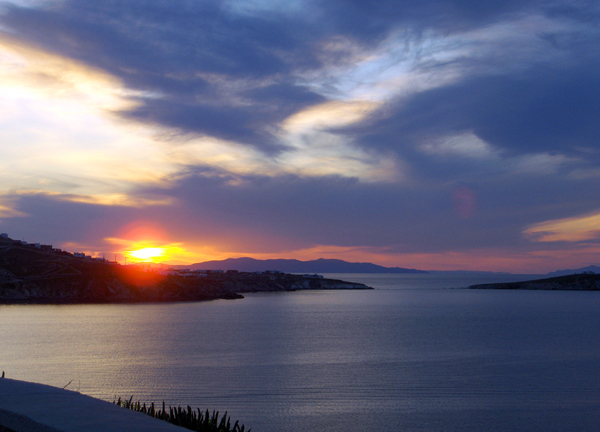 Some of Greece’s top sites are close enough to Athens for an easy day trip. 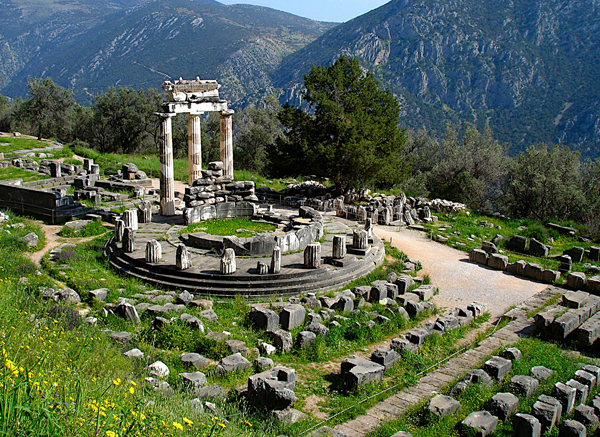 Delphi is a 2.5 – 3 hour drive northwest of Athens on the slopes of Mt.Parnassus, a really stunning spot. 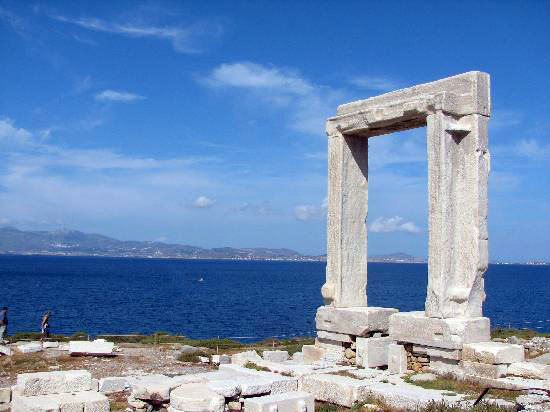 The ancient Greeks believed it to be the center of the world. According to legend, Apollo killed the Python that guarded the Omphalos, or navel of the earth, and thereafter, the site was dedicated to the god. The Delphic Oracle was a priestess known as the Pythia, who channeled the words of Apollo for seekers of wisdom from near and far. 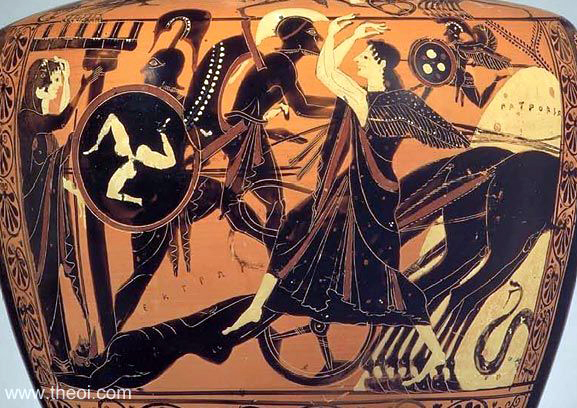 Delphi was also known for the Pythian Games, similar to the original Olympic Games. The extensive remains are mostly from the 6th-century BCE and are scattered on several terraced levels right down the side of the mountain. The small museum holds artifacts found at the site. The modern town of Delphi is right there, with lots of hotels, restaurants and shops. Staying a night instead of doing the roundtrip to Athens in one day is a good option. There are motor coach tours either way. Located about 60 miles southwest of Athens on the northeastern Peloponnese, in the region of Argolis, Mycenae was a major center of power in the eastern Mediterranean from about 1600-1100BCE. 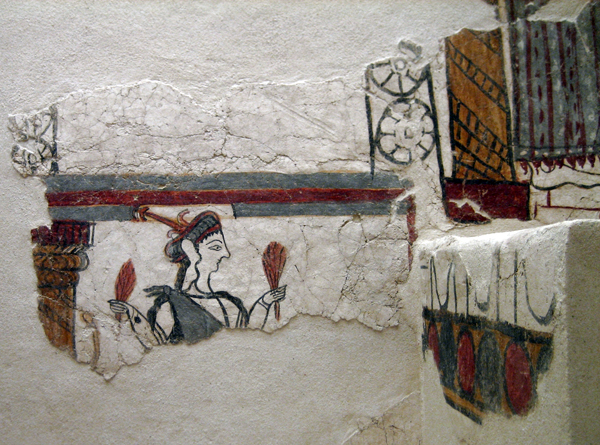 The Mycenaeans were culturally influential and the period is the source of a lot of Greek legend. Homer’s Iliad and Odyssey sprang from this time. In the Iliad, Agamemnon, the legendary king of Mycenae, led the Greek forces in the Trojan War. War sparked when Helen (of Troy) ran off with Paris, prince of Troy. Helen was the wife of Menelaus, King of Sparta and Agamemnon’s brother. It’s a good story, really. Whether any of the bones of the story are factual is debatable but there’s no question that it was inspired by some complex power struggles, think Game of Thrones. Excavations at Mycenae represent different periods, ranging from 17th-century BCE shaft tombs to the 14th– century cyclopean walls (so called because the stones are so large the Cyclops must have built them) and the 13th-century Lions Gate. A fair bit of walking over very uneven ground is required to see the site. Good, sturdy shoes are a must, and a big bottle of water. 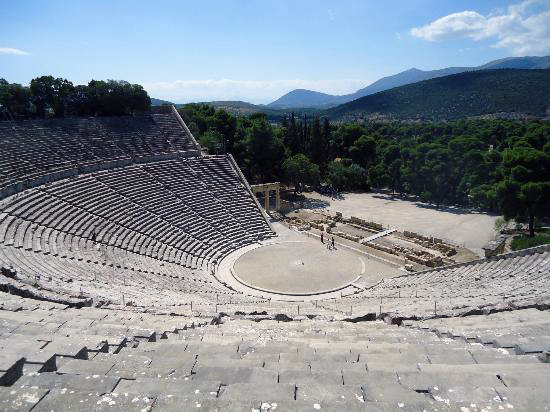 About an hour drive from Mycenae is Epidaurus, on the Saronic Gulf. In mythology, Epidaurus was the birthplace of Asclepius, son of Apollo and god of healing. The Asclepion sanctuary there was an active healing center from the 6th-century BCE to the 4th-century CE and then continued as a Christian healing center for another century. The area thrived on the popularity of the sanctuary and the spectacular theater is one indication of that prosperity. The theater seats 15,000 and the acoustics are so perfect that normal voices on the stage can be heard clearly from every seat. The theater is still used for performances today. 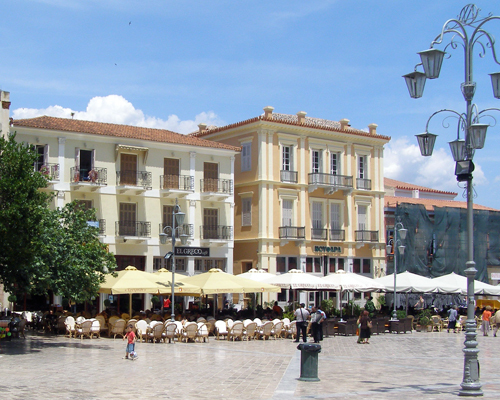 The capital of Argolis is the sweet seaside city of Nafplio, widely considered one of the prettiest towns in Greece, which is really saying something. If you’re on a day trip from Athens, at least stop here for lunch and walk around the narrow alleys of the Medieval Old Town. If you’re on a longer tour of the Peloponnese, this is a good place to overnight. 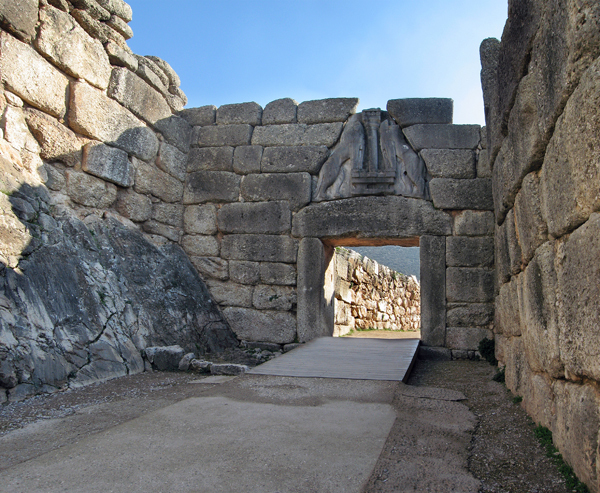 This is the Lions Gate at Mycenae on the Peloponnese peninsula. 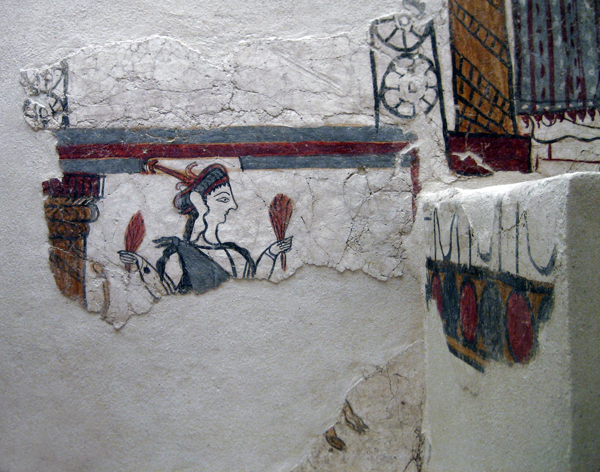 Mycenae was a major center of power and cultural influence in the eastern Mediterranean from about 1600-1100BCE. 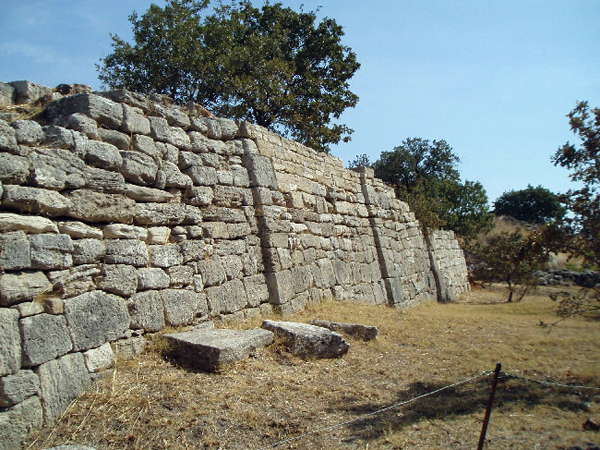 Mycenean civilization was the first advanced civilization on the mainland of our mystery country. In Homer’s Iliad, Mycenae was among the city states that fought in the Trojan War over the abduction of Helen, wife of the King of Sparta (Menelaus) , who was the brother of the King of Mycenae (Agamemnon). Can you name that country? 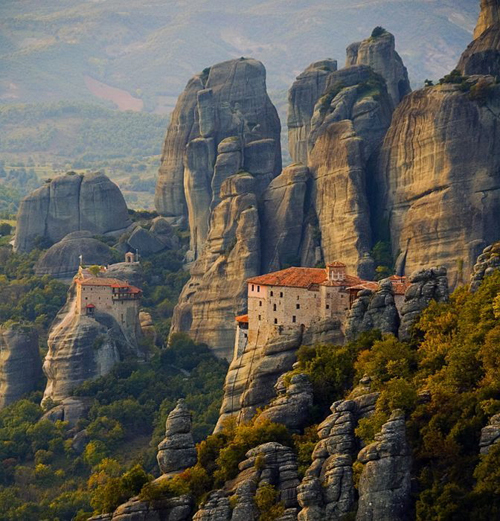 In central Greece, near the town of Kalambaka, is Meteora. The name means something like “suspended in air” and describes a collection of Greek Orthodox monasteries perched 1,000 feet above Plain of Thessaly at the top of titanic natural pillars. The pillars were first inhabited by Christian hermits in the 11th century, seeking solitude and security. They scaled the towers and lived in caves and cracks in the stone. In the 13th century, groups of monks came to the area and began to build. Over the next several hundred years over 20 monasteries were built. 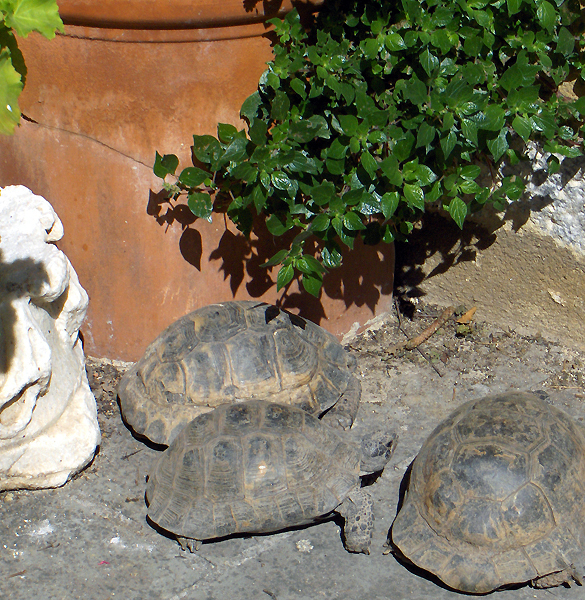 Today, the six surviving monasteries are open to visitors. Inside you’ll find a few monks and nuns and important collections of frescos, manuscripts and icons. It’s over 5 hours from Athens, so you’ll want to overnight in Kalambaka, the small town at the foot of the rock towers. You can get a 2-day motor coach tour to Meteora from Athens or a 3-day tour to Meteora and Delphi, or a 4-day tour that combines Meteora with Mycenae, Epidaurus, Olympia and Delphi. Visit www.yallatours.com/greece to see tours that include Meteora. Located about 60 miles southwest of Athens on the northeastern Peloponnese, in the region of Argolis, Mycenae was a major center of power in the eastern Mediterranean from about 1600-1100BCE. 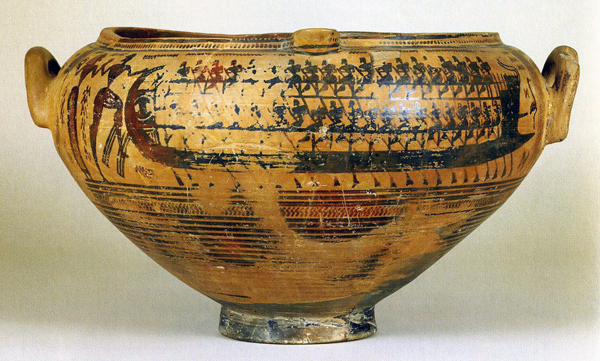 The Mycenaeans were culturally influential and the period is the source of a lot of Greek legend. Homer’s Iliad and Odyssey sprang from this time. In the Iliad, Agamemnon, the legendary king of Mycenae, led the Greek forces in the Trojan War. War sparked when Helen (of Troy) ran off with Paris, prince of Troy. Helen was the wife of Menelaus, King of Sparta and Agamemnon’s brother. It’s a good story, really. Whether any of the bones of the story are factual is debatable but there’s no question that it was inspired by some complex power struggles, think Game of Thrones. Myceanae is an easy daytrip from Athens and also a regular feature on longer bus tours. These Ya’lla tours include visits to Mycenae: Scholar’s Classical, Scirocco, Aegean Highlights, Ultimate Greece, Aeolos.